Context Design Group, PLLC was formed to provide clients with totally integrated design and planning services to align their facility and business objectives. At Context, we understand that your building environment must respond to your operational objectives - we call it "Process-Focused Design". Our responsive and ﬂexible way of doing business allows us to analyze, understand, and prioritize the “big picture” objectives of your organization. At Context Design Group, no detail is insigniﬁcant as we develop targeted solutions for the creation of a process, building, and operational master plan to ﬁt your business environment. Using proven programming techniques, analysis methodology, and design processes, we help our clients visualize and understand how their facility should respond to the changing needs of their business. We are unparalleled in our understanding of the interrelationship of your business, facility, process, and organizational structure. Context Design Group believes that excellent architectural design is the joining of the practical requirements with the expressive qualities desired by our clients for their buildings. This union is a complex task that involves both the architect and the client. Successful architecture should be both utilitarian and meet the aesthetic requirements outlined for the project. Context also ﬁrmly believes that a building is much more than four walls and a roof designed to enclose a process and keep the rain out. We believe that by working closely with our clients from beginning to end we can produce a building design that is more than “shade and shelter.” We believe that by incorporating architectural design techniques in a proactive relationship with our clients, that resultant design will not only respond to the functions housed within the four walls but will support and reinforce the process located within. 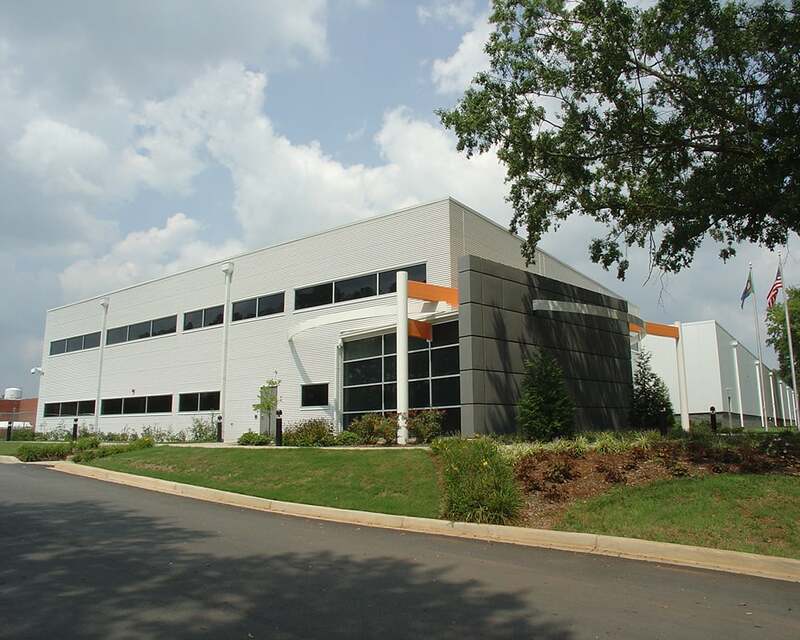 The Automotive sector of the southeast U.S. is Context Design Group’s primary market. We have been involved with many of the OEM suppliers who have moved into the southeast U.S. to support the transition that has taken place since BMW announced plans for their ﬁrst U.S. manufacturing facility in 1992. 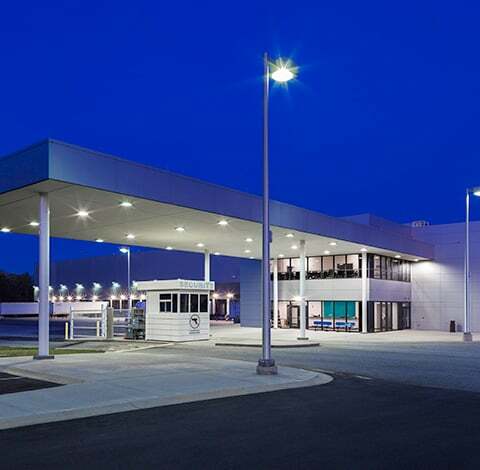 While holding the position of Architectural Department Manager for Simons, Inc.’s Greenville ofﬁce, Mr. David Lewis was the Lead Architect for the BMW Manufacturing Facility in Greer, SC. He was in charge of all design activities for Simons and provided facility programming, conceptual design, site master planning, as well as ﬂ ow & layout planning analysis for the complete facility. He was Architect of Record for the Body Shop, 50% Vehicle Assembly Building, Testing Labs, Administrative Ofﬁces, Cafeteria & Commercial Kitchen, and the Zentrum Vistors Center. 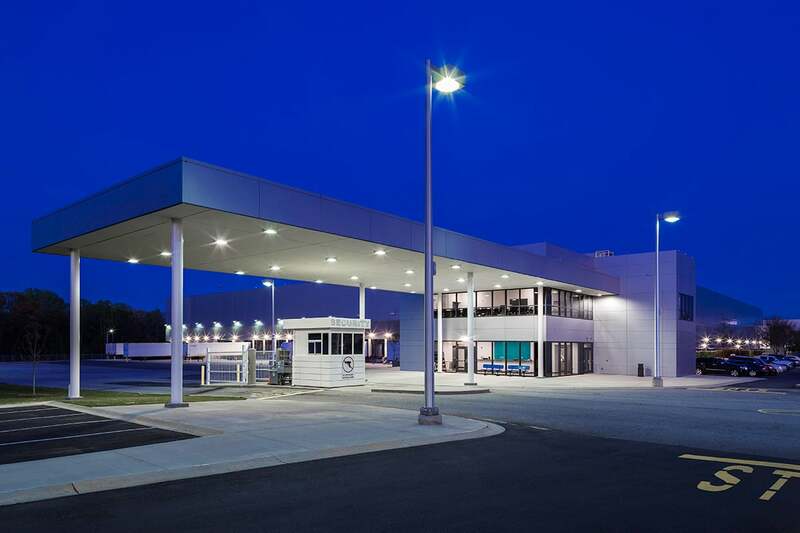 Once this project was complete, Mr. Lewis became involved with the design of facilities for a large percentage of the Automotive Suppliers that located in the area supporting the BMW operation. Mr. David Lewis founded Context Design Group in 2002 and since this time the ﬁrm has diverse experience working with all segments of supplier manufacturing with design responsibility for facilities supporting a variety of items and in-sequence modules which are manufactured and delivered to the line in JIT & JIS ﬂow. Context Design Group also has a great deal of experience in commercial projects ranging from the medical sector to retail & hospitality to major Warehousing and Distribution facilities. Our team uses the same objective techniques facilitated in Automotive projects in the commercial sector to arrive at a successful design project for our Client. Innovation, customer-orientation, and quality. David Lewis and his team at Context Design Group have done an outstanding job to reﬂect these hallmarks of our business in the architectural design and layout of our U.S. headquarters in Duncan, South Carolina. This is evidenced by many positive comments on the visual appeal of our building that we have received from our visitors over the years. For more than two decades, Context Design Group has been a strong and reliable partner of the Dräxlmaier Group in all architectural aspects, from the initial building design to contractor selection and construction oversight. We know that we can count on the expertise of David and his team for all our building needs. Context Design Group was instrumental in the realization of Starlinger-Sahm’s new North American headquarters and showroom. The project team systematically developed a facility program based on our company’s needs, worked diligently on a design that reﬂects our Austrian corporate language, and provided the knowledge and direction for negotiating a construction contract within our budget. President of American Starlinger-Sahm, Inc.
As an international consulting company, STOG TEC’s division Transatlantic Consulting is engaged in bringing European manufacturing and service companies to the U.S. For more than 10 years, we have had the privilege to work with Context Design Group. Aside from their outstanding architectural and engineering capabilities, the group has a wealth of knowledge and resources which make them invaluable for the tasks we need completed. The network of David Lewis and his team have helped immensely with site selection, contacts of local and state economic development personnel, and construction teams capable of completing a variety of project types. Their international experience bridges the business, cultural, and technical differences between Europe and the U.S. And not least: they are fun to work with! 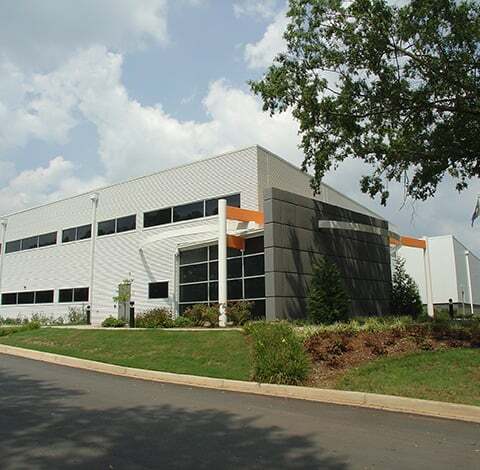 David Lewis and Context Design Group provide professional services in a timely manner and to a level of detail required to allow the general contractor to construct a quality facility. They are ﬂexible and responsive when working in a design/build delivery approach for a project. David and his team help make a challenging profession an enjoyable experience! Senior Project Manager at Hendrick Construction, Inc.
At Context Design Group, we are involved in our community and support its economic development efforts, which we see as critical to our success. Through our architectural design practice, we collaborate with our domestic and international clients to design buildings that streamline their business operations and disseminate their corporate image. Over the years, our work with dozens of companies along the I-85 corridor accounts for hundreds of millions of dollars in capital investment and the creation of thousands of jobs. Many of our clients have played a key role in the signiﬁcant growth and development of Greenville over the past thirty years. For two decades, David Lewis has supported the German American Chamber of Commerce of the Southern United States (GACC South) through service on the board as a Director and serving as Past President of the South Carolina Chapter. Through both professional and community service, we have fostered strategic growth and European cultural inﬂuence in our local market by assisting companies and individuals in their transition. Our team members have also served local universities by volunteering as design consultants for student projects and critiques as well as serving as mentors for current Architecture students. Our team members are registered design professionals in multiple states, NCARB certiﬁed, and LEED accredited in order to serve our clients in all facets of their projects. We appreciate your time in reviewing our Firm Summary and would very much welcome the opportunity to discuss our credentials further or provide a more comprehensive ﬁrm qualiﬁcations document of our experience and work history. Please contact our ofﬁce and our team will lead a discussion of your project’s goals and the best approach to realize the full potential of your vision as a success.